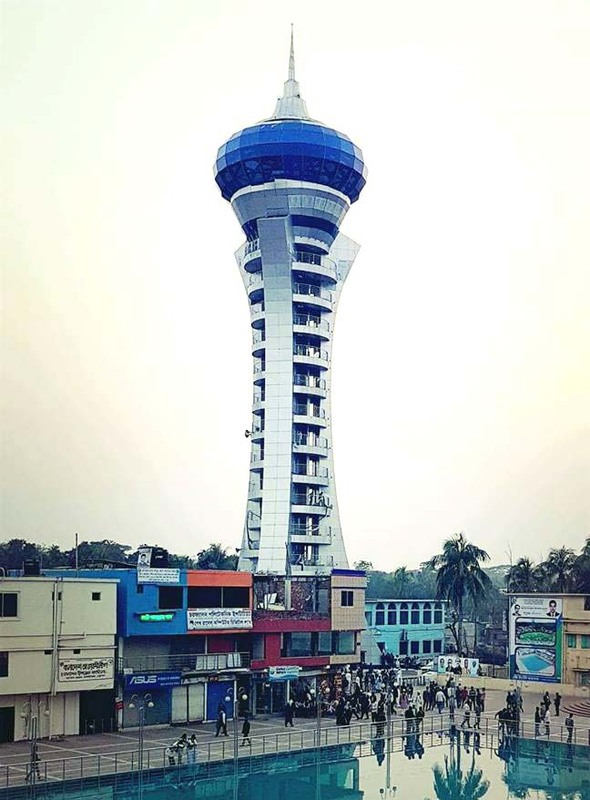 Jacob Tower is one of the tallest watchtower in Bangladesh. 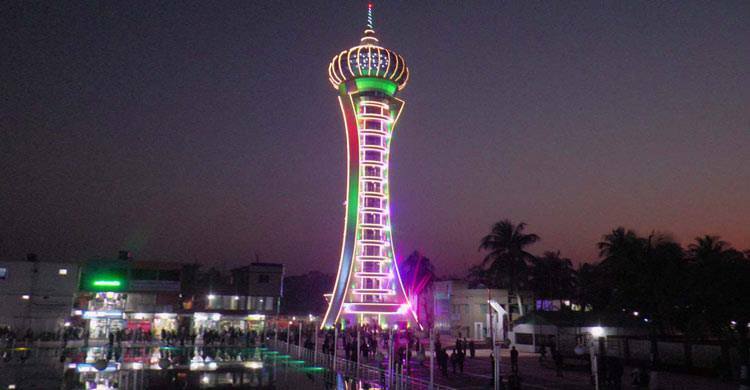 This tower is located in Char Fasson upazila of Bhola district. This is now one of the attractive monument of Bhola District. The height of this tower is 225 feet that means about 18 storied building’s height. The construction cost of this tower is 20 crore taka. This tower is also known as Char Fasson Jacob tower. The designer of this tower is Architecture Kamruzzaman Liton. The tower has a capsule lift that can take you to the top of it. It can carry 13 people at a time. The tower has powerful binoculars through which can be enjoy up to 100 meters area from it. You can enjoy the view of Char Kukri Mukri, Tarua Beach, Nijhum Dip etc. Visiting hours: From 9 am to 1 pm and 2:30 pm to 6 pm. How to go: You can go by launch from Dhaka Sadarghat launch terminal to Bhola. From there you have to go Char Fasson. There are many launches that has stoppage in Char Fasson too.